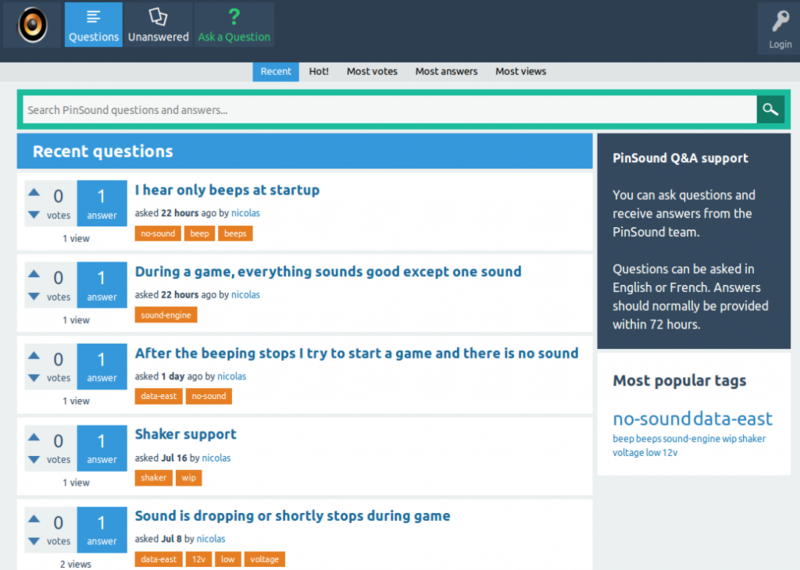 Select your pinball machine and download the sound package you want to play with. Copy the complete zip file (do not uncompress) on the root of the flash drive. 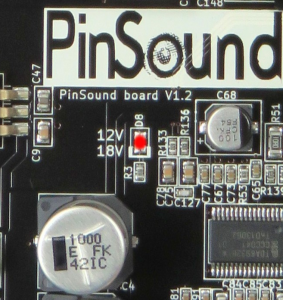 During the next boot, the PinSound board will automatically install your new sound package. 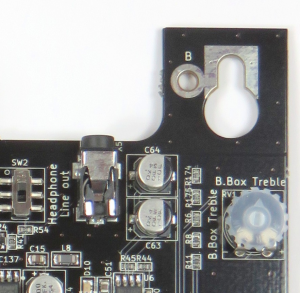 5 different connectors are used for connecting speakers, exactly like the original boards. 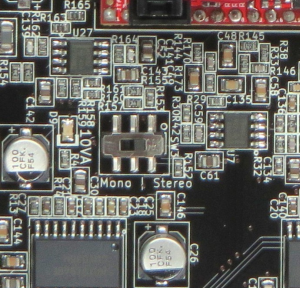 The headphone output is a standard 3.5mm stereo jack connector with 4 rings. 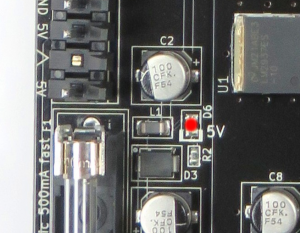 The headphone socket has a plug detection capability, so cabinet and backbox speakers are mute on plug. 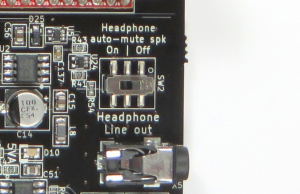 This beaviour can be disable with the SW2, “Headphone auto-mute spk” switch. Headphone volume: the volume is adjustable by using the game’s volume control and you can balance between speakers and headphone by using the “Volume Cab” and “Volume B.Box” control. 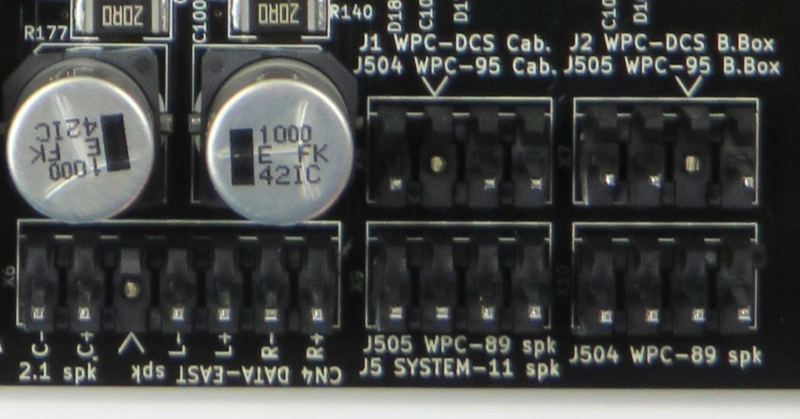 Speaker audio output response can be fully customized thanks to the integrated equalisers. You can follow the recommended tone and volume settings. For such machine, simply set the switch to “mono”. 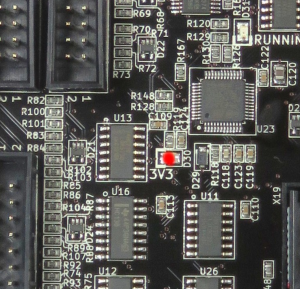 Of course you can easily rewire your machine to stereo 2.1 to enjoy full stereo. 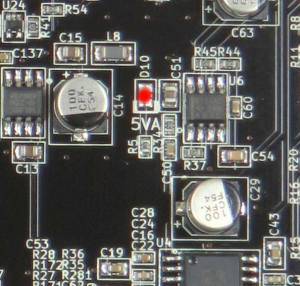 To power the logic and system, comes from the 5VDC from the machine. 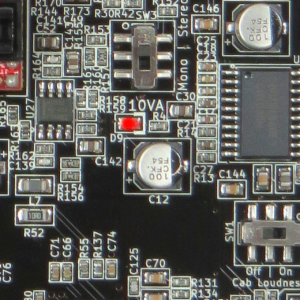 To power amplifiers, comes from the 12VDC or 14-18VAC from the machine. 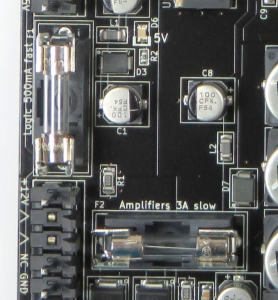 To power headphone, from the 10 volts. 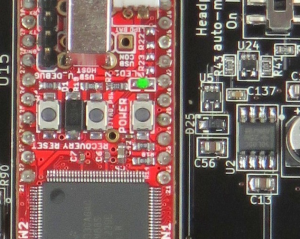 Is steady on startup, once the system is communicating with the CPU, it blinks 2 times per sec from startup, and flash when data is received from the bus. 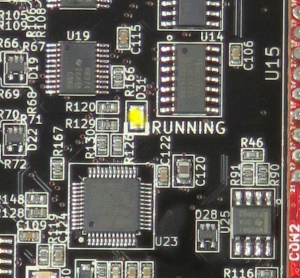 Steady during boot, then blink 1 times per sec when system is running. 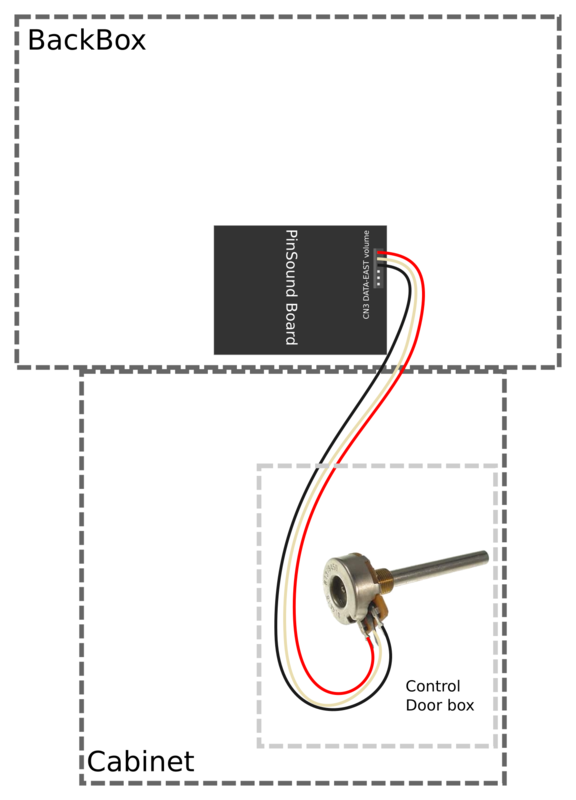 Here is the correct door control volume potentiometer wiring. 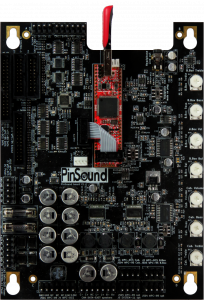 if you copy your own “boot.wav” sound file in your “audio” folder, the PinSound board will play this file instead of the standard startup sound. If you put multiple mixes on the flash drive, you can change mixes during the game at any time by using the volume control. WPC89, WPC-DCS, WPC95: set the volume to 0 two consecutive times using the door volume control. DATA-EAST, System 11: set the volume to the far left using the door volume potentiometer. A preview of the new mix will then be played. Simply increase the volume back to select the mix you want. Repeat the previous steps to change to another mix or revert to the first one. 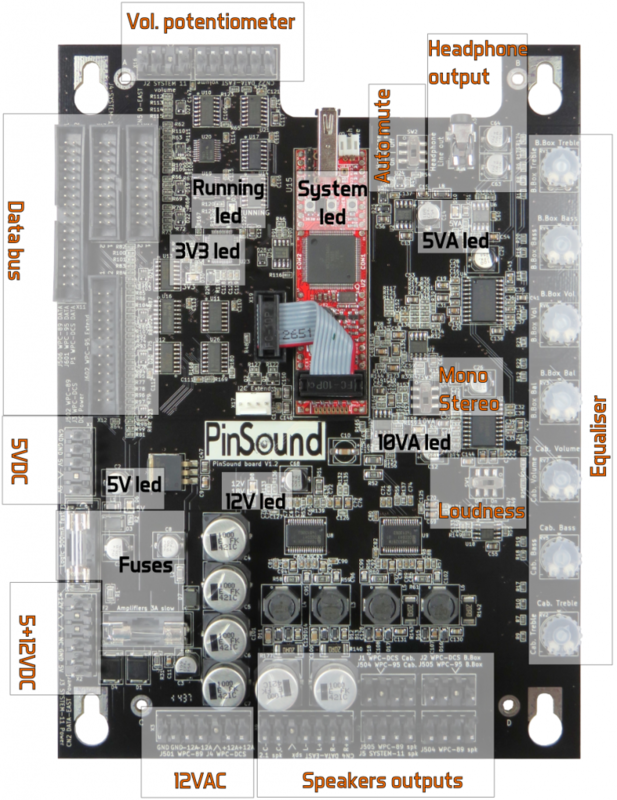 The PinSound board is able to run and write down a self-diagnosis file on the USB flash drive.